What Do These Cravings Mean? 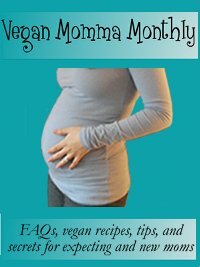 Vegan Momma Monthly: Do These Cravings Mean Something? *Question: "What do pregnancy cravings mean?" Some moms work full time and are constantly on the go, and others are full time moms and are constantly on the go. Either way, it's go time all the time, and you need fuel to keep yourself charged and ready to take on the world. I've compiled a list of my favorite vegan snacks, all of which are healthy, simple, and quick. One of the best tips I've ever heard for making sure you're eating healthy snacks and not just snacking on whatever you can find when you're hungry is to prepare them ahead of time. Take 30 minutes out of your week right after you've gone grocery shopping and cut up fruits and vegetables, make dips, and split things into Tupperware, preparing your vegan snacks for later in the week. This is a great habit to get into while you're still pregnant and feeding your growing body, because it will prepare you for hungry kids who need snacks. If there's nothing healthy on hand, we all know that we'll just hand out the easiest thing, which is often not the most healthy. While it might seem hard to carve out extra time to prepare snacks, it's going to make you feel so much better in the long run, and you won't be spending time staring into the abyss of your fridge with a hankering for anything sweet or salty holding you down. Check out my 15 best vegan snack ideas here. 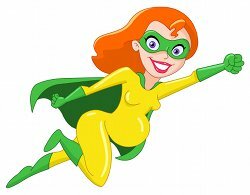 We're featuring another common fruit, the grapefruit, as our Superheroine Superfood for this month's newsletter. Its sweeter cousin, the orange, often overshadows grapefruit, but it has many of the same nutritional benefits and a few extras too. To satisfy your daily needs for vitamin C when you're pregnant, all you need to eat is one medium sized grapefruit, and when you're breastfeeding you need just slightly more. It helps to repair wounds in your skin, bones, and other tissue, it fights infection, and it releases free radicals in your body. It's also amazing for preventing all types of cancer. To read all about grapefruit nutrition and its benefits for you as a vegan momma, click here. Question: "Do my pregnancy cravings mean something about my diet?" Kate from New York asked a question that I think is a very common concern of any newly pregnant mother. If we start craving something, does it mean our body is trying to tell us we're missing something in our diet? We know that hormones can change our cravings, and we know that our hormones are wonky during pregnancy, so cravings are very common and expected. But does it mean you're not getting enough nutrients? Learn about whether pregnancy cravings mean something here. And, don't forget to check out this month's featured recipe, which showcases an awesome craving buster, our Vegan Chocolate Peanut Butter Bars. As we talked about earlier, sometimes the best remedy for a craving is just to indulge it. This recipe is all about indulging! You can make it healthier by cutting back on some of the sugar, using different cookies, changing out the chocolate for carob, and you can change the flavors to suit your tastes. Check out the full vegan peanut butter bars recipe here.